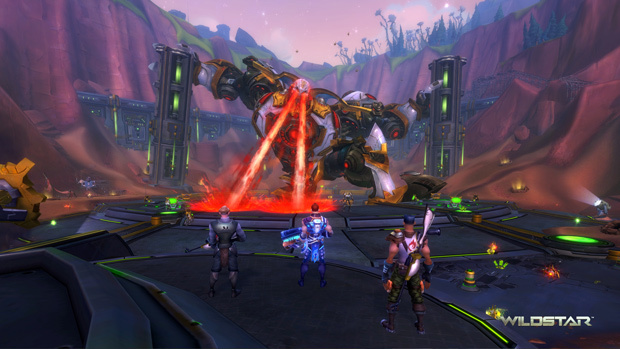 After four weeks of re-reveals, DevSpeak videos, Livestream sessions and a whole lot of new gameplay footage, Carbine Studios is finally ready to pull the curtain on the final two classes that will be available for Wildstar at launch. Say hello to the Engineer and the Medic. The engineer is primarily a tanker class that uses Heavy Cannons and Heavy Armor in order to attack, hold and stir up enemy threat levels from long distances. The main resource for engineers is called “Volatility” which can be earned from attacking enemies while in combat. Once enough volatility points have been earned, they can then be used to power up various abilities for tanking or DPS. Along with those abilities, Engineers can also build and command various robots to handle many different situations. These robots can even be personalized and customized with various new parts and equipment. The medic is primarily a healer class that uses Resonators and Medium armor in order to attack enemies and support teammates from close and moderate ranges. 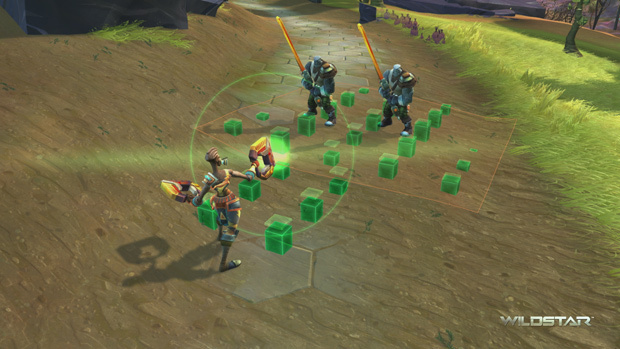 Much like the Esper and Spellslinger, Medics will have to make use of two resources instead of one. These resources are called “Focus” and “Power Cells”. As focus generates while in and out of combat, Power Cells are generated and expended by various Focus abilities. The power of these abilities are determined by the amount of Focus and Power Cells used, so players must juggle between these two resources very carefully in order to succeed. Because medics will have to throw themselves into the middle of a fray in order to use most of their abilities, they will require a lot of skill in order play effectively. In return, their abilities will have the highest healing potential compared to Espers and Spellslingers, along with other abilities such as DOTs that can heal teammates gradually while poisoning enemies at the same time. So with all the classes revealed, players will have plenty of variety when tackling the quests, dungeons and adventures that await them on Nexus and without delay, as each class comes equipped with the ability to fill two roles, one always being DPS. Warriors, Stalkers and Engineers can either switch their stances and action sets between the role of Tank or DPS, while the Esper, Spellslinger and Medic can switch between Healer or DPS. Personally speaking, this is a brilliant idea as players can customize their abilities to specify either role without feeling too overwhelmed with options. The ability to cover either role should also speed up grouping by reducing the number of DPS stuck in queue, a feeling that I know all too well. 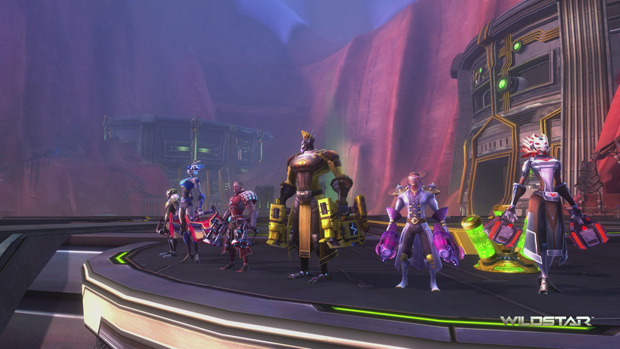 So with all the classes and features revealed, how much more can Wildstar do to invigorate the MMORPG world? Well you’ll just have to find out for yourself, as a Winter Beta test has been confirmed for this month. 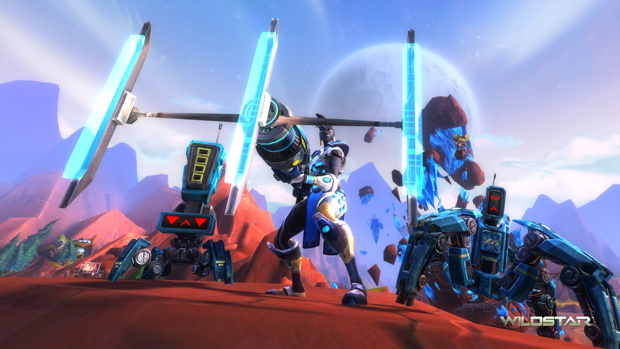 For more information on Wildstar and the upcoming Winter Beta, check out our Wildstar profile page!